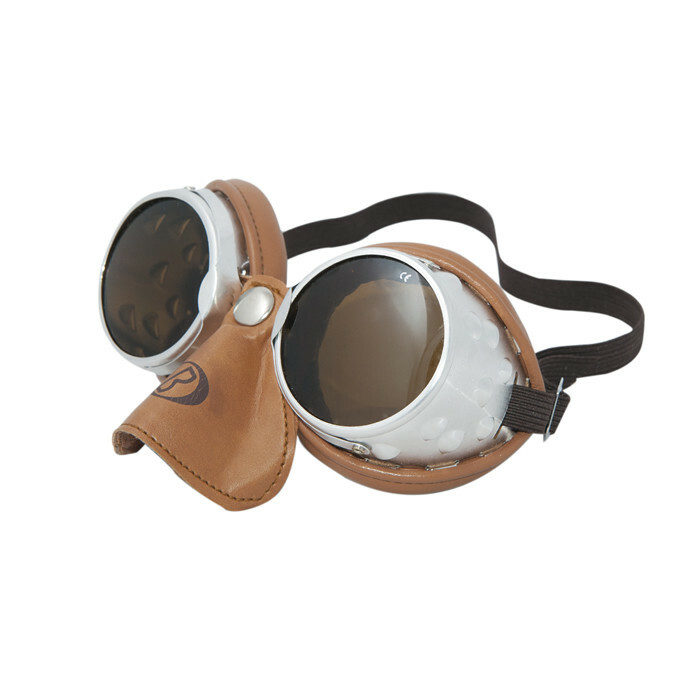 Silver glass or gold colored glass goggles. Face padding with soft leather cushion. Anti-reflective lenses (on request) interchangeable with ease. Leather lined hood for nose protection. Also available for mountaineering and hiking with removable nose.